We had a dicey ride home from skiing on Sunday in the snow and stopped for lunch at some random pizza place right off the highway…Zoe was full of smiles as she ate her hamburger. 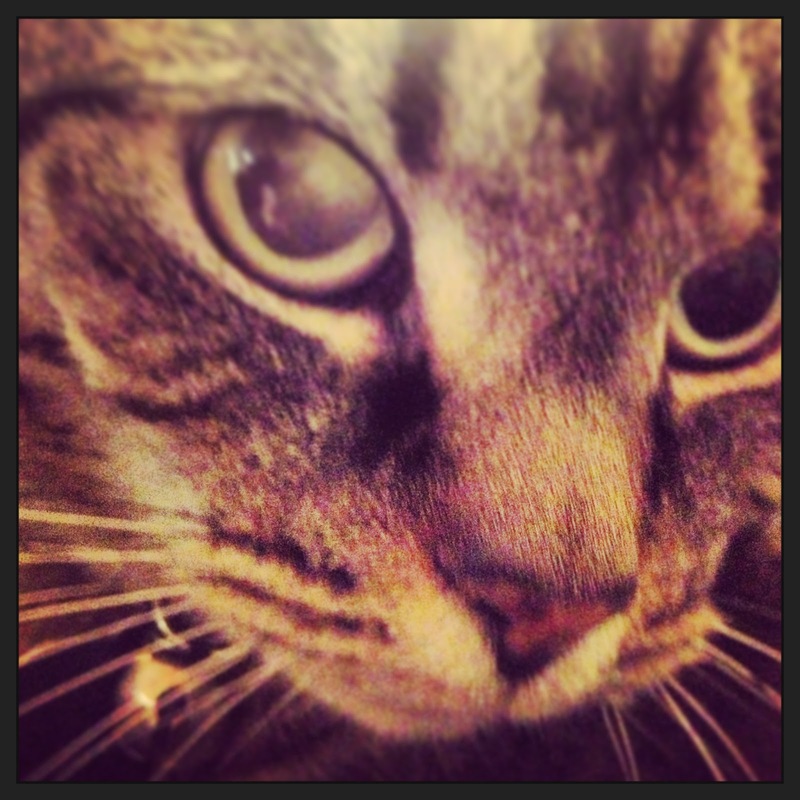 Close-up of Maxine the cat. 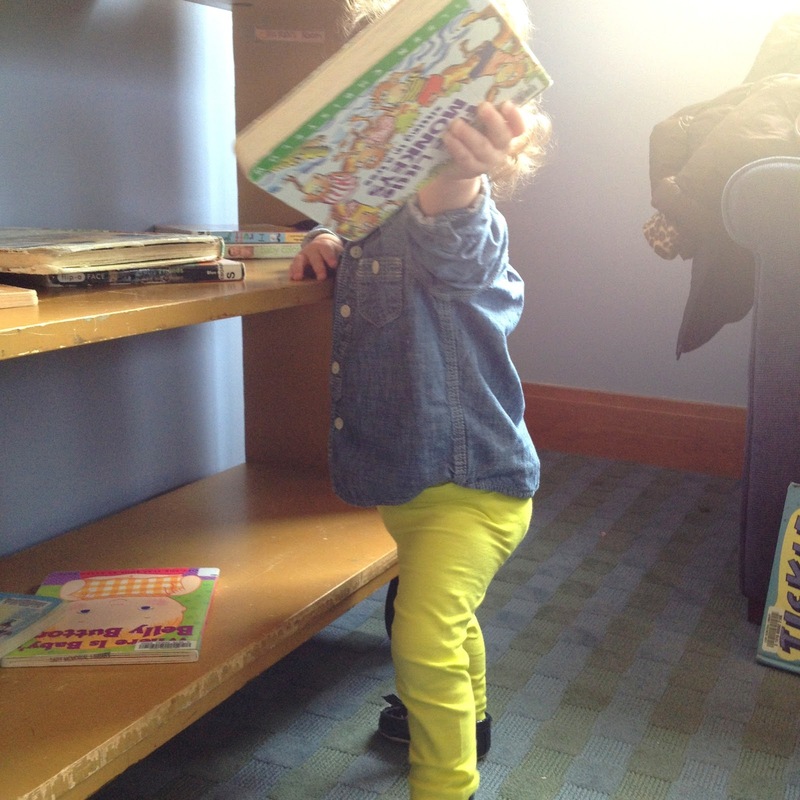 We had a blast at the library! 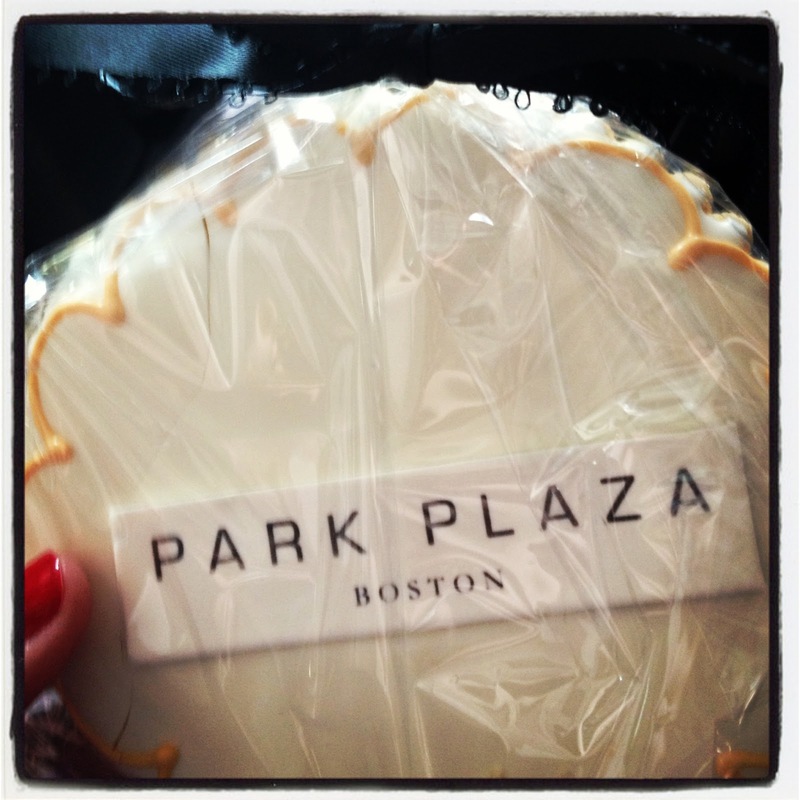 I got a yummy dessert treat on the way out of one of the work events I went to. 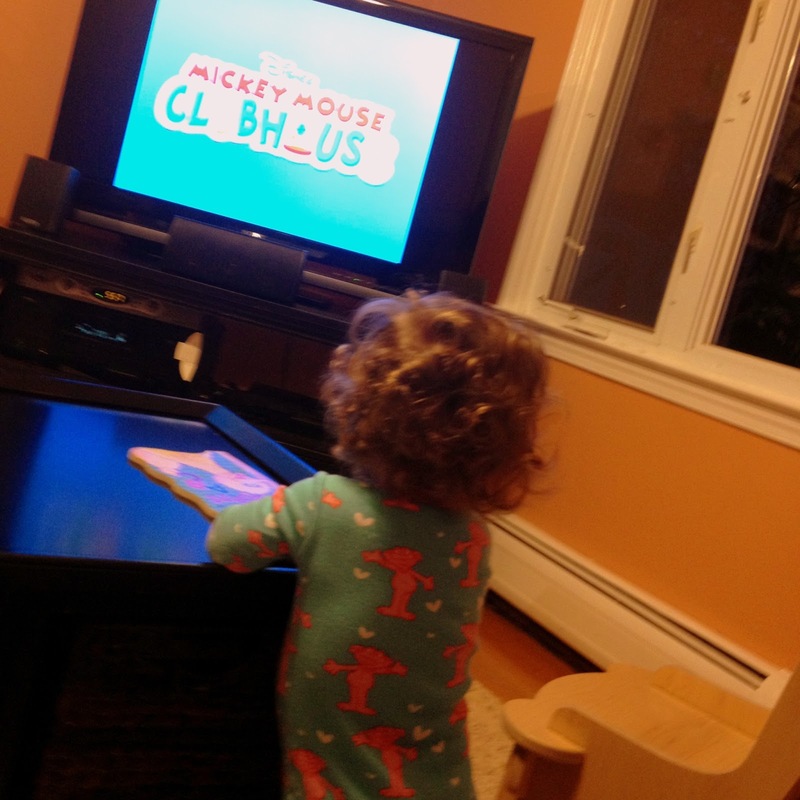 Zoe is officially addicted to watching Mickey Mouse Clubhouse before bed. 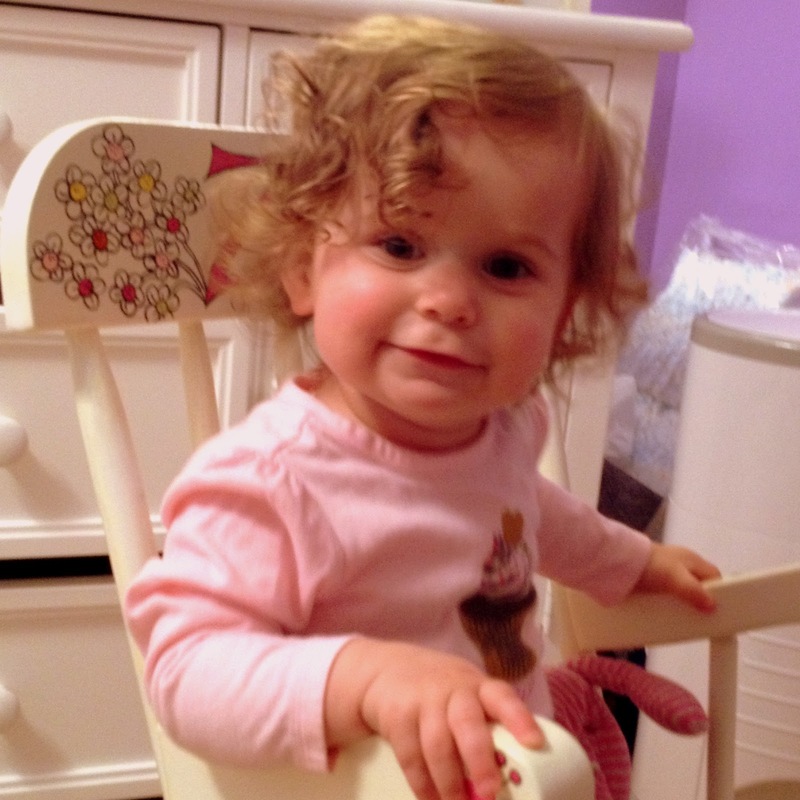 And even though she was sick, she was still all smiles as she sat in her little rocking chair. Have a great weekend – here are a few fun links! It’s fun to watch Bobby Flay make his cioppino dish – it’s what I ordered when my sister and friends took me to Bar Americain in NYC for my bachelorette! “Lena Dunham’s” Zero Dark Thirty audition. Hysterical.